Why does divorce happen. Passive aggression and DIY divorce may seem a lot for a family solicitor in Northwich Cheshire to cover in one blog but Michael Brennan at Stonehewer Moss solicitors has 25 years experience dealing with divorces and avoiding the question,” Why? ” entitles him, he feels, to at least try. The “Why” question and family lawyers. It is natural to want to know why you find yourself separated and facing a divorce. for some the cause may be only too obvious; an affair or violence/ addiction. This may be an unknown cause in many cases. Why has Michael avoided the why question? Michael says, “My late mother often reminded my brother and I that we went through the “Well Why?” phase as little boys. That I avoid it when asked is not strictly correct. I usually advise clients it is best to address what we can control and sadly he or she may never know why ( probably there spouse could not tell them). Being human is messy; the little boy in us needing to know is in a sense pre human. The art of avoidance comes with experience but how it manifests itself can be very telling itself; I always think there is a presence of passive aggression in many family lawyers and in the cause of divorce. They go together like a horse and carriage, or something similar. ” Note 1- when you separate you grieve and asking why is natural but perhaps unrealistic and harmful if dwelt upon. Avoid a lawyer too eager to tell you why your ex has caused where you are unless the question need not be asked; he or she may be projecting his or her own passive aggression on to your life. Michael responds, “It could be the reason for your divorce? I must stress that I am not qualified to tell you what passive aggression is but, as the old saying goes, I know it when I see it. My understanding is that it is a learned response in childhood to feeling ignored , a child cries until comforted or breaks things to get attention. Frightening to think that your lawyers handling of your divorce by trivially breaking the Family Procedure Rules and protocols may be an expression of passive aggression in him or her but I have experienced this baffling approach many times over the past quarter of a century of practice. I am not qualified to know whether I display passive aggression at times myself, as often it takes one to know one but that I recognise it means it can be dealt with appropriately. An excellent on line dictionary of psychology offers some tips on handling passive aggression you may find useful moving through your divorce. In summary, dialogue is best, firmly but politely raising the conduct of the other person you feel does not help. I think that is right, being careful not to address the person but the conduct. They want attention, to be acknowledged personally and wrongly think that conduct is the way to achieve their end.” Note 2 – visit http://www.counselling-directory.org.uk/passive-aggressive.html for helpful advice. Don`t raise the issue personally, address the conduct in a non accusatory way and point out why it is unhelpful. Passive aggressive litigants in person. Note 3- visit .citizensadvice.org.uk/law-and-rights/legal-system/taking-legal-action/taking-a-case-to-court-without-legal-advice/ and the justice website/ Bar website for guidance if acting alone; if your ex acts alone, try to be represented and keep the option of out of Court settlement available. 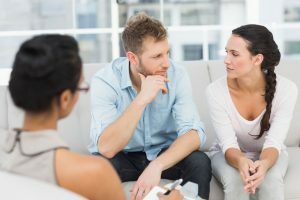 This article was added on Wednesday, March 30th, 2016 at 11:02 am and is categorised under Cheshire News, Chester News, Child arrangements, cohabitation disputes, Divorce, divorce finances, Family finances, Family Law, Macclesfield News, northwich solicitors, Runcorn News, St Helens news, Warrington News, Widnes News, Winsford News. Both comments and pings are currently closed. Error: Error validating access token: Session has expired on Saturday, 09-Mar-19 13:12:58 PST. The current time is Thursday, 25-Apr-19 10:09:15 PDT.